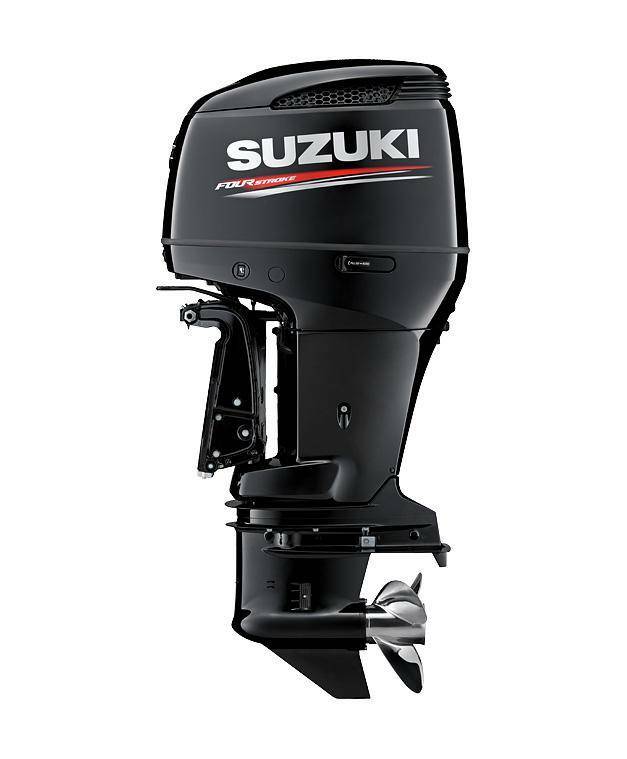 Features include a 55 degree V cylinder block- an industry first; DOHC 24-valve powerhead and digital sequential fuel injection with high performance plate type injectors providing superior fuel atomisation and cleaner combustion. 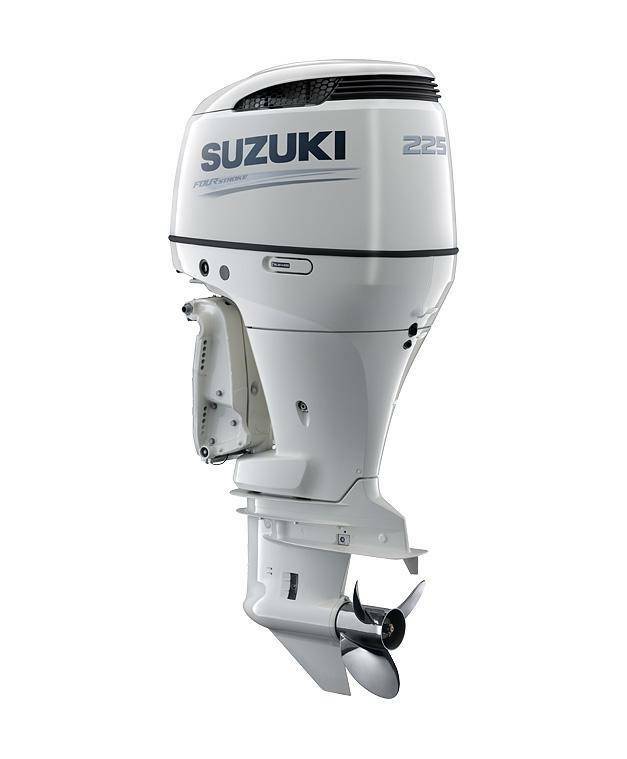 A powerful 32-bit on board computer ensures that the motor is running at optimum efficiency throughout the power band in and in all operating conditions. 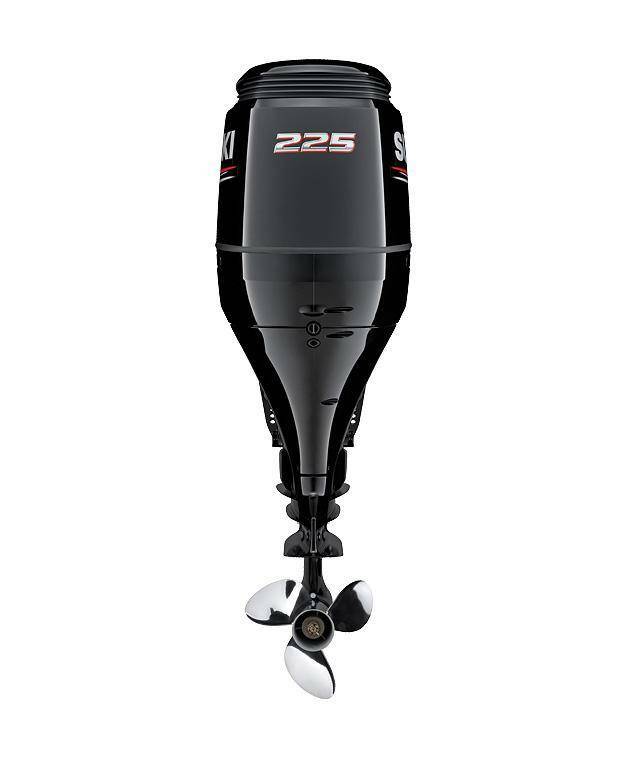 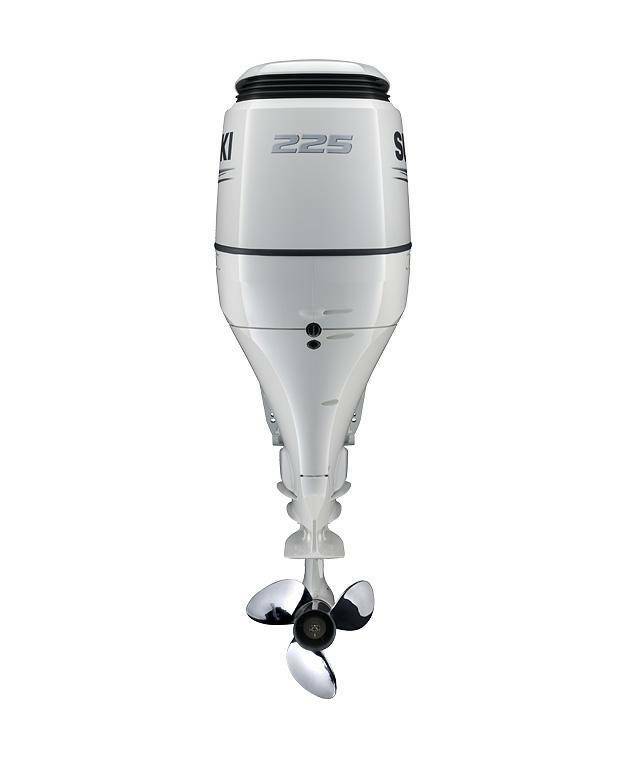 The offset drive shaft providing a big 2.26:1 gear ratio which drives a16inch prop giving fast acceleration and top speed whilst a 54 amp alternator producing 32 amps at only 1000rpm keeps electrics running even at trolling speeds. 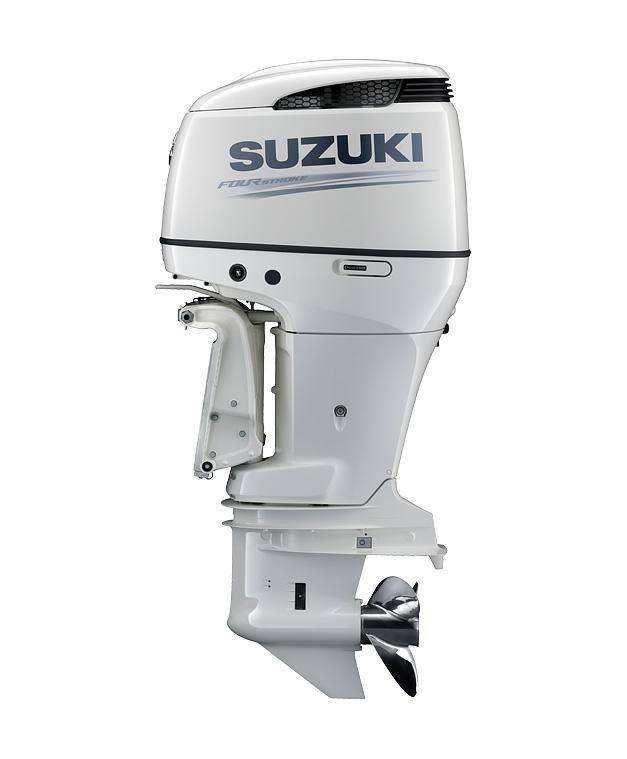 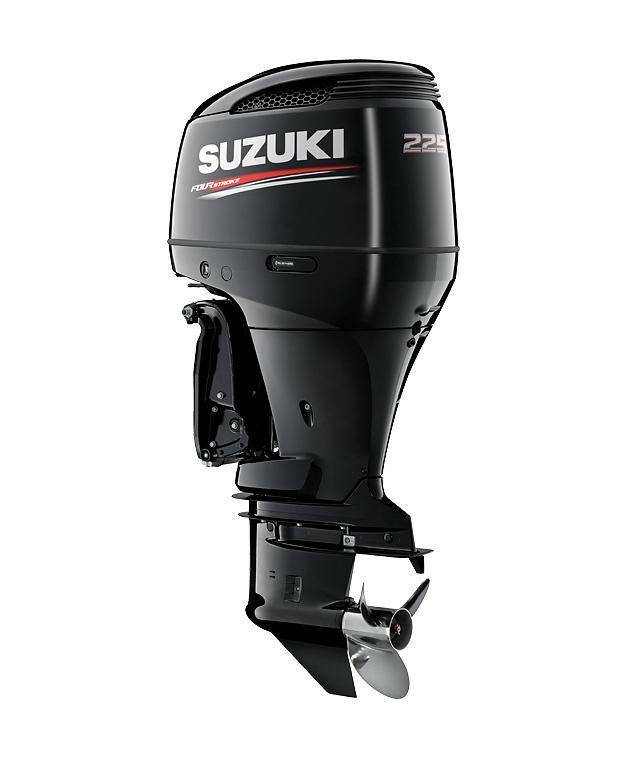 The Suzuki DF225 also incorporates multi stage intake manifold to enhance engine performance by changing the way the engine breaths at different speeds.